This is an original production cel and background from the MGM Studios film, Good Will to Men (1955). 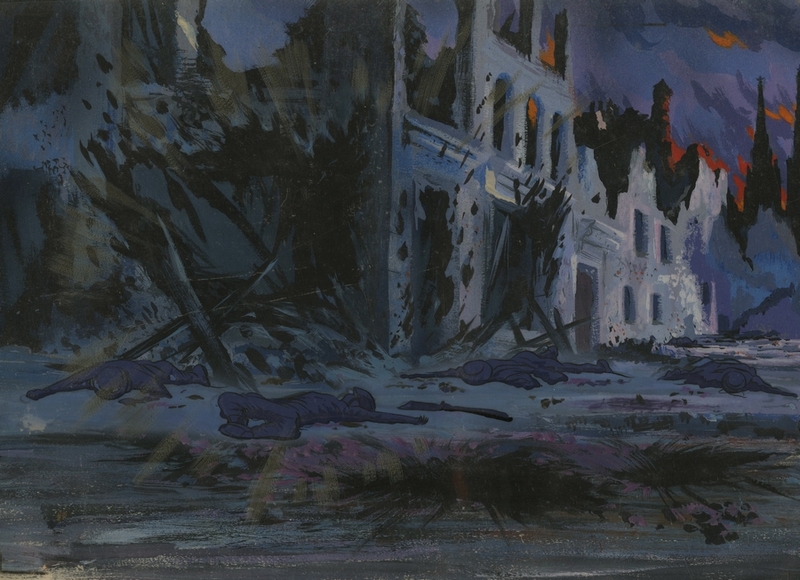 The image features soldiers who have been downed in battle, next to building that have suffered the same fate. The piece measures 10.5" x 16.5" overall with the main image area measuring about 9" x 13.5". 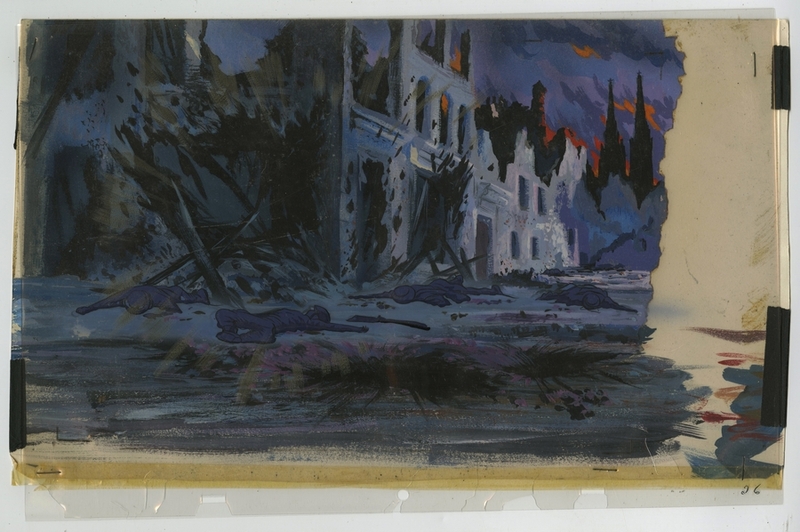 Vintage MGM set-ups like this are hard to find and this piece is in excellent condition, with two staples near the lower edge attaching the cels and backgrounds together. This piece was exhibited at the Norman Rockwell Museum in Stockbridge, MA for their 2017 exhibit, "Hanna Barbera: The Architects of Saturday Morning."